Spread joy (not smears) with quick-drying Paper Mate® InkJoy® Gel Pens. With vivid gel ink that dries 3X faster* for reduced smearing, it’s like a party on the page where smudges aren’t invited. 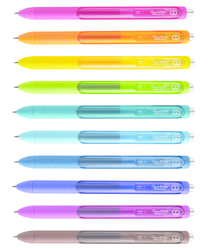 With 14 brilliant colors to choose from, your notes will be bright and filled with fun. 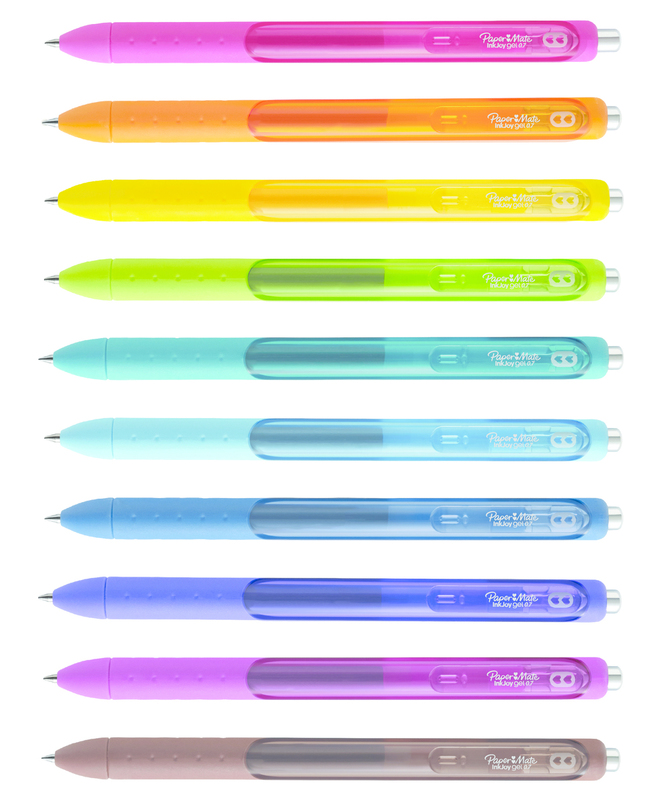 Perk alert: these colorful pens are fully wrapped with a comfort grip (because words should never hurt you) and feature a smooth style that keeps the joy flowing as fast as your thoughts. ??? 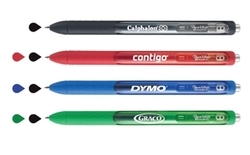 Smear-free gel ink keeps your notes looking neat. Imprint Area: Barrel - .3125" H x 1.125" W, In line with the clip. • Price includes a one-color imprint. Up to 2-color imprint available. 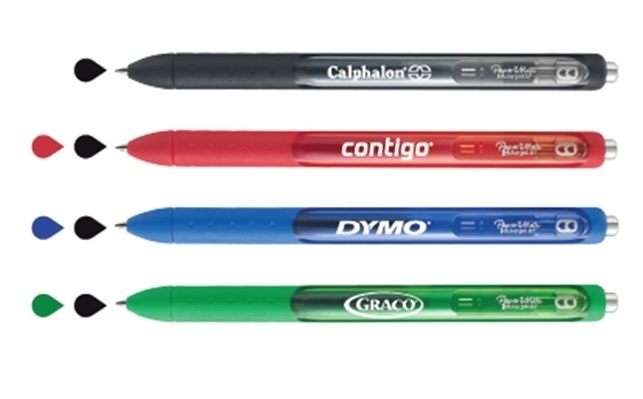 • An Assortment of barrel and grip colors can be included on one order if using same imprint color and artwork for all units. • If multiple product colors are ordered, each color must be 25% of the minimum order quantity.